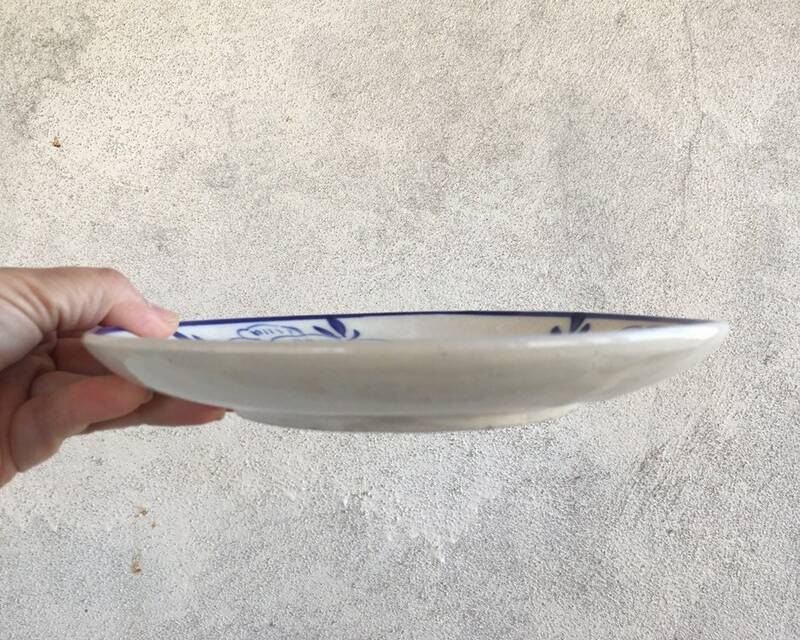 These small plates are part of a larger collection of vintage Southeast Asian pottery that I purchased from an antique store during the time that I worked in Vietnam. 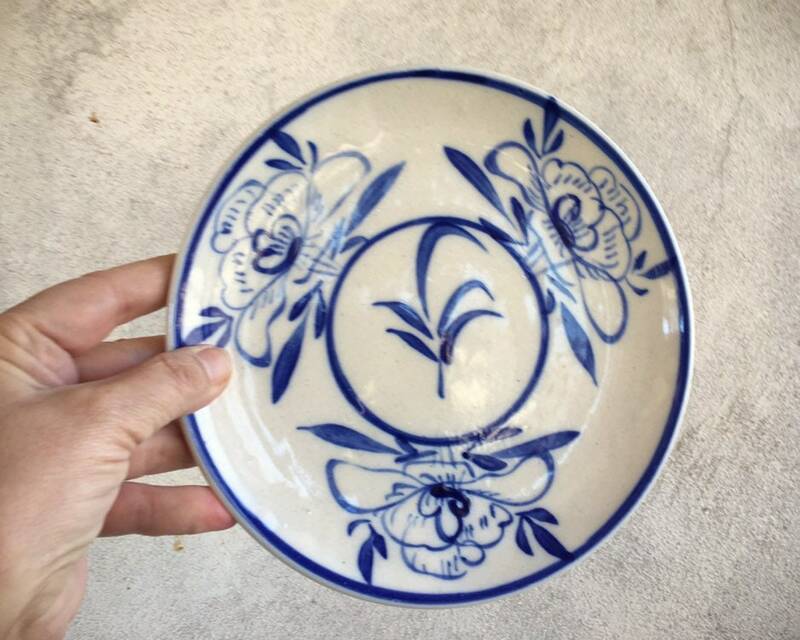 I would often visit the pottery villages, and it was pretty uncommon to find older pieces. But these were definitely older, likely first half of the 20th Century. 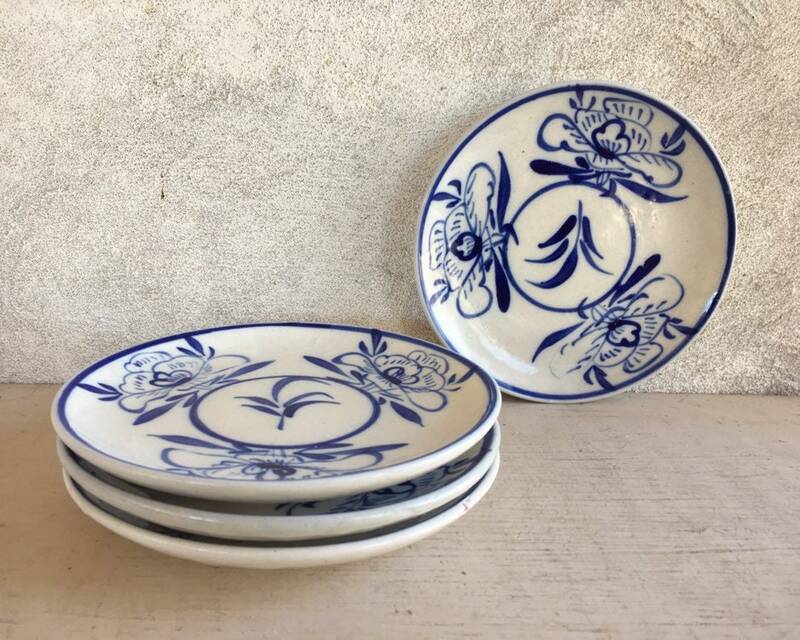 The three small plates are a traditional design of blue on warm white stoneware. 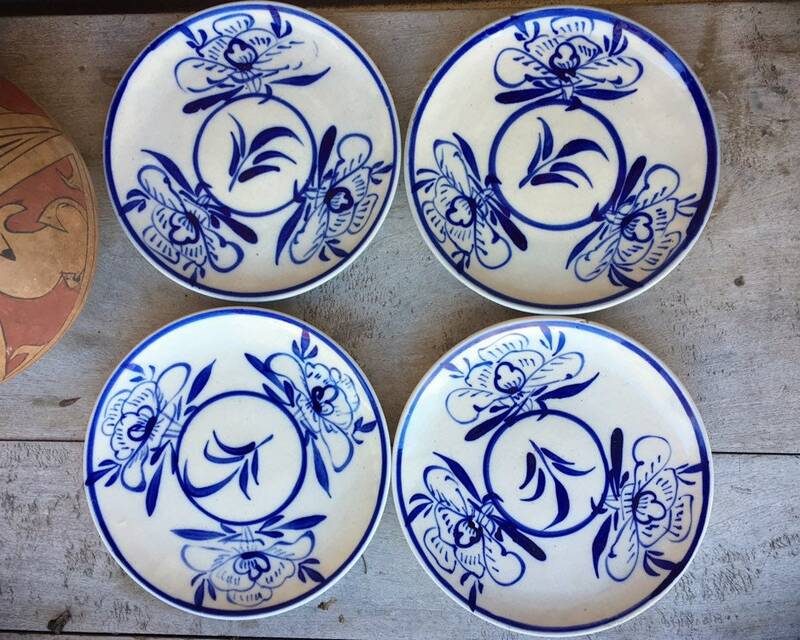 Two of the plates are in good condition and two have surface nicks in the thick glaze along the rim. 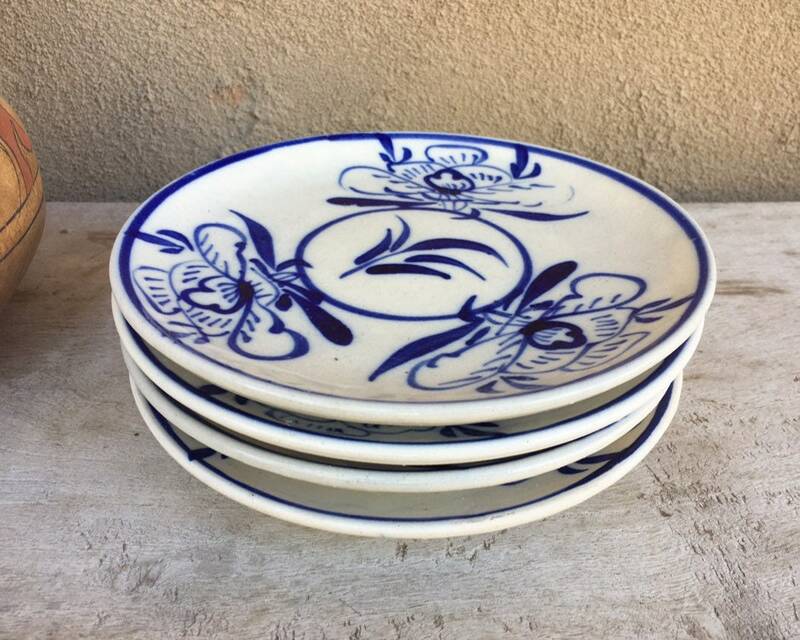 The small plates are beautiful to display. 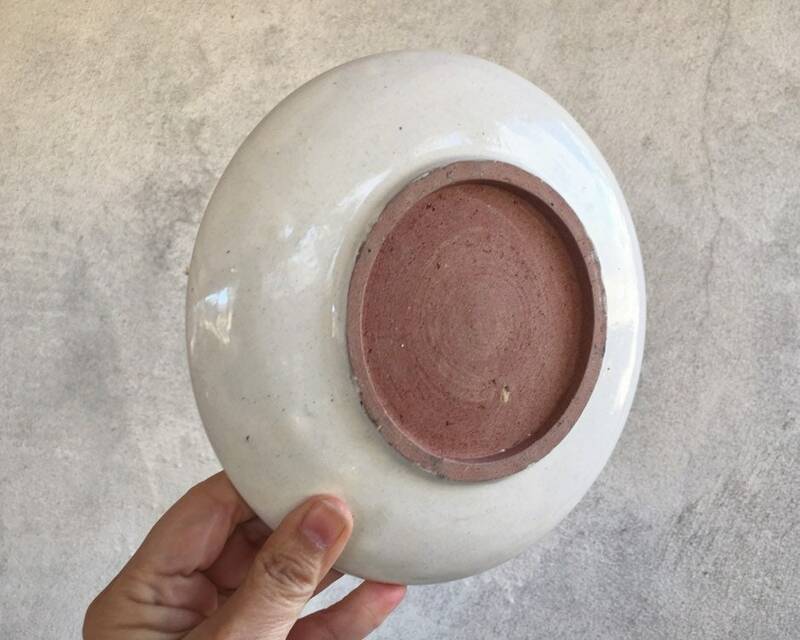 Vintage and antique Anamese pottery is highly collectible, and very hard to find. The plates each measure about 7-5/8" in diameter. 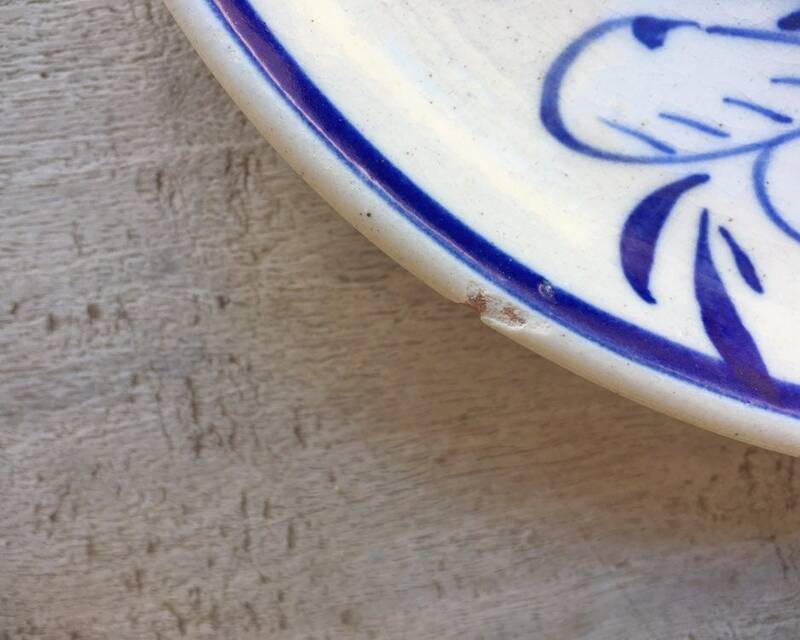 Again, two plates have nicks where the glaze chipped away. The others may have some small fleabites along edges or rims but otherwise in good condition. Weigh 3.5 pounds unpacked. 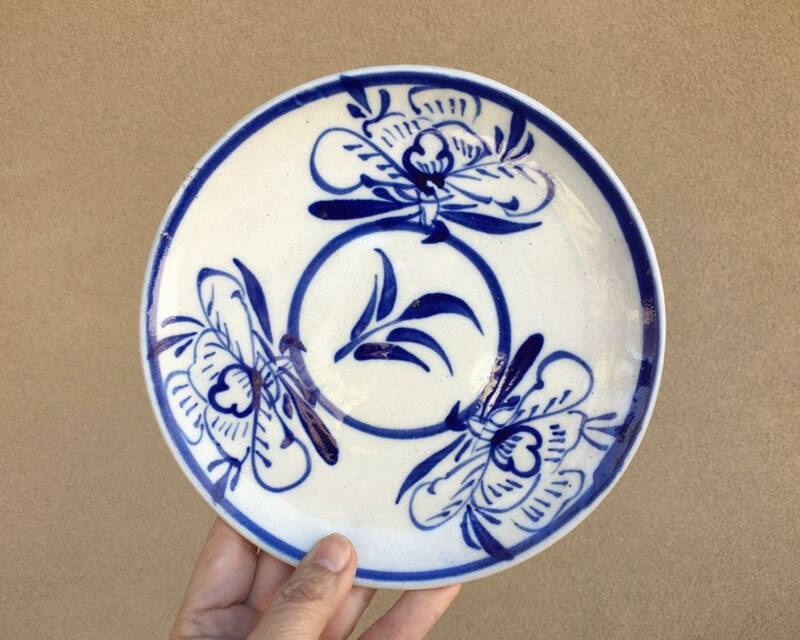 Collectible pottery for your bohemian inspired home.